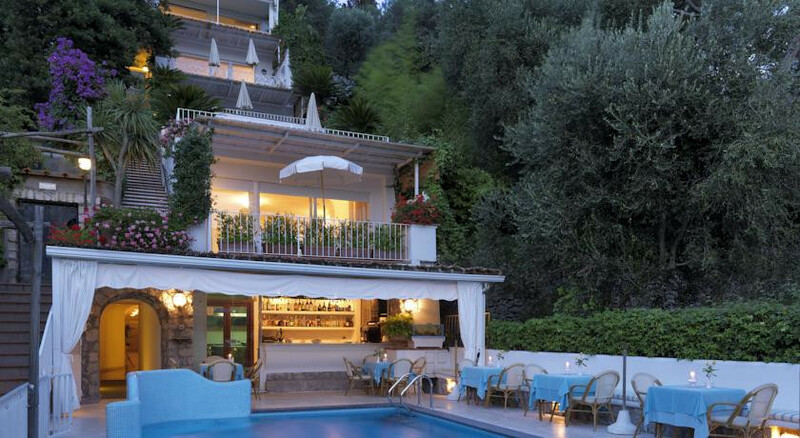 The ultimate romantic getaway with luxorious suites and private access to the most beautiful beach in Capri. Spend days lounging by the pool or frolicking on the beach. Hire a scooter and travel around the island in true Italian style. 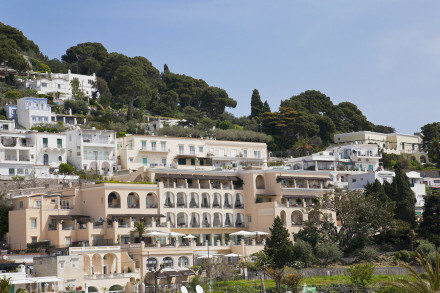 Venture into town and rub shoulders with the young and affluent in Capri's bars and clubs. Check out the nearby tennis courts, ask at the hotel for details. 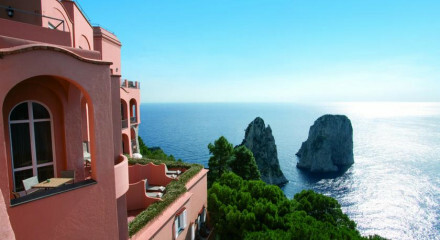 A walking path overlook the Faraglioni rock formations starts from near the hotel. 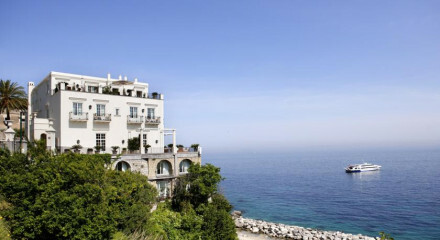 Capri is full of chic Italian boutique shops, so get out and shop til you drop.